The final Settle Session of the year offers inspiration from over 100 years of Craven and international history and culture. Well known local author and poet Jean Harrison will read from her new pamphlet 'The Tilt', set in Ghana. She worked there for eight years in the Sixties, and returned for a visit thirty years later. The work shows the contrasts and similarities as the new country grew. 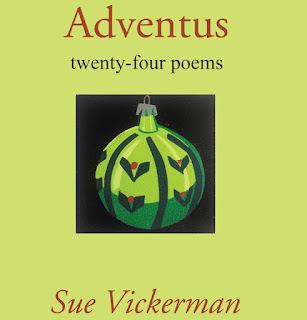 'Adventus' is writer Sue Vickerman's well-timed new poetry collection for Brexit Britain: what is to come? These twenty-five poems are perennials but may also serve as daily readings from 1st December, leading you through a season of endings and traumas, wistfulness, nostalgia, and anxieties about an uncertain future - with a dash of humour thrown in. 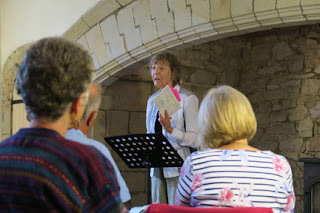 Sue's writings have appeared in The Guardian and TES, her novel 'Special Needs' is in public libraries, and her poems and fiction have been commended by Susie Orbach (a lovely book), Sandi Toksvig (loved it! ), the late Magnus Magnusson (a glorious achievement!) and Bloodaxe's Neil Astley (excellent). 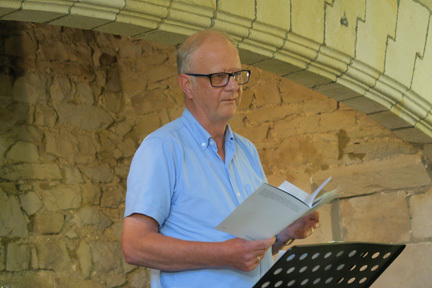 Earlier this year, The Tom Twistleton Centenary Festival held a poetry competition for local young people inspired by the poet's work, much of it in local dialect. 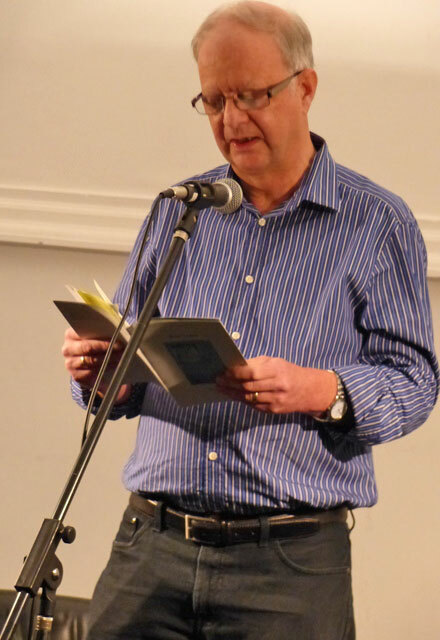 From a shortlist of nine, winner Max Clarke will read his poem 'The Yorkshire Rose', along with second prize winner Daniel Craig with his poem 'Settle is my home' and commended poet Daniel Gilles with his work 'Summer in Yorkshire.' Freddie Fairweather-Smith came third with 'The Dales'. Settle Sessions' 2017 competition drew over 400 entries from all over the UK - and produced a very high standard selection. The winners were announced by judge Kim Moore at our September evening. Kim said she was very impressed by the quality of entries. She explained that she looks for poems that she herself couldn't write. We reproduce the poems by the three prize winners with the shortlist of commended entries. We were delighted and a little humbled by the excellent poems entered. Congratulations to the winners and those commended, and thank you to everyone who entered. We'll be launching our 2018 competition next Spring. You can see a review of the evening at the end of this list. We also thanked Jean Harrison for all who work on Settle Sessions. She started the venture some five years ago and has driven our programmes ever since, bringing top quality poets and writers to Settle. crust of knowledge and found you. to poke white through darkness. A few drab feathers snared in wire. that comic scoot behind the sycamore? Our latest loss. Minor, of course. We closed the door too late. The bright light of him gone. four still white wings tucked warm and tight. like sailors’ lanterns on the sea. my feathers glided brimmed with air. as I flew silently as snow. tracks in a land I used to know. 400 hundred poems winged their way to Settle Sessions during the Summer to take part in their second national poetry competition. Coming from across the UK and covering a variety of styles and subjects competition judge Kim Moore finally selected: ‘Emergence’ Caroline Price’s winning poem which vividly described the finding of a baby mammoth, whilst Vicki Bertram’s second prize eulogised her departed white cockerel in ‘Silkie’ and Kerry Darbishire’s took third prize inspired by WB Yeats in ‘The Winter’s Night’. Kim continued the evening with new work, drawing from her transition away from 13 years of teaching in ‘Leaving Teaching’ and no longer needing to ‘pull a perfect b flat from the air’ to examples from her new poetry sequence, ‘All the Men I Never Married’, including calling out the sexist behaviour she still encounters. Calder Valley based poet Carola Luther describing herself as ‘not a jolly poet’ gave a sample of her work with poems blending her former life in South Africa made contemporary with the news of the death of a former friend, her observations of women seeking economic survival through prostitution in ‘Commerce Madrid 2012’ and highlighting the impact of recent flooding in ‘The Rising’. The next Settle Session will be on Friday 17th November at 7.30pm (venue to be confirmed). It will feature two well know local writers Jean Harrison and Sue Vickerman. Both published poets and novelists, they will be reading from their latest work. Sue recently spent a year in China and has produced a book of her experiences. The evening will also include young local poets who took part in the Tom Twisleton Project. This commemorates the centenary of the Settle artisan and dialect poet. The new work is in response to his work and celebrates local life today. 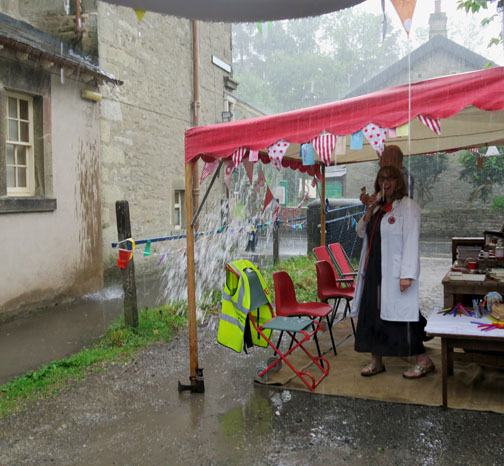 Veronica Caperon presented a workshop for 8-12 year olds as part of the Tom Twistleton Festival at the Library in Settle. 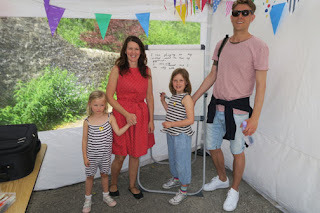 "I was very pleasantly by the standard of work which the children produced" she said. You can see some of the results at the exhibition planned for the end of September at The Folly. And then there's the excitment surrounding the 2017 SS poetry competiton winners! Entries from all over the UK were received for the 2017 Settle Sessions Poetry Competition with local poets in the top three prizes. The winners will be announced at the special evening on Friday 29th September at The Friends Meeting House in Settle. Amongst the prize winners are local writers from Kendal, Lunedale and Kirkby Stephen as well as some from as far apart as Suffolk, Scotland, West Yorkshire and Dorset. Appearing at the evening will be two leading British poets. Competition judge Kim Moore, who lives and works in Cumbria, is fast building an admirable reputation for her work. Her first full length collection The Art of Falling was published by Seren in April 2015. She won a New Writing North Award in 2014, an Eric Gregory Award in 2011 and the Geoffrey Dearmer Prize in 2012. Her first pamphlet If We Could Speak Like Wolves was a winner in The Poetry Business Pamphlet Competition, judged by Carol Ann Duffy. Carola Luther was born in 1959. She grew up in South Africa and moved to England in 1981. She works in Leeds and lives in the Yorkshire Pennines. Her first Carcanet collection Walking the Animals was nominated for the Forward Prize for Best First Collection in 2004. 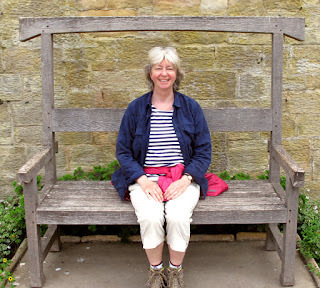 She was poet in residence at The Wordsworth Trust 2011-12. Prize winners and commended poets will be invited to read their award winning entries. Tickets for the evening, which starts at 7.30pm, are available from Cave and Crag and The Folly in Settle, and The Cheese Centre in Lawkland, or on the door, priced £6. Settle Sessions took part in the Settle Stories Festival of Happiness in May. 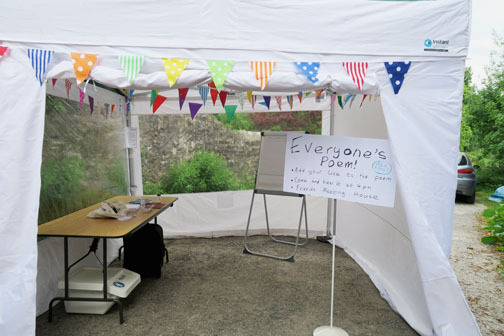 We aimed to get everyone to add a line or two to 'Everyone's Poem' all day which you can find out about here. 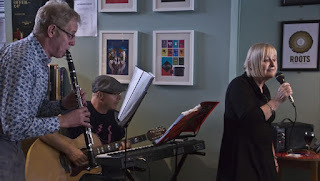 The next Session will be on Friday 23rd June at 7.30pm at The Folly in Settle with prize winning poets Ron Scowcroft and Kathleen Jones. It will also be the group's AGM and reception. The evening begins at 6.30pm with a drinks reception followed by a brief AGM. Read Two is a special this time, devoted to poems about Elephants taken from A Poetry of Elephants, compiled by Rebecca Gethin. She and a group of poets make the book a reality and the publisher ValMor gave their services for free. 100% of the proceeds from book sales will go to The David Sheldrick Wildlife Trust, which is one of the most successful conservation organisations for wildlife and habitat protection in East Africa. Kathleen Jones was born and brought up on a hill farm in Cumbria and now lives with her partner, sculptor Neil Ferber, on the edge of the Lake District. She has been writing since she was a child and has published fourteen books including eight biographies, a novel and a collection of poetry. She lived for several years in Africa and the Middle East, where she worked for the Qatar Broadcasting Corporation. Since then she has written extensively for BBC radio and contributed to several television documentaries. Kathleen was appointed as a Royal Literary Fund Fellow in 2008 and is currently also a Fellow of the English Society. Her two most recent biographies are ‘Katherine Mansfield: The Storyteller’ (published by Penguin NZ and Edinburgh University Press) and ‘Norman Nicholson: The Whispering Poet’, (published in 2013 by The Book Mill). She is also the author of two novels, The Sun's Companion and The Centauress. More details at settlesessions.co.uk, info@settlesessions.co.uk. Settle Sessions got off to a flying start with the first event for 2017 in front of a cosy fire at The Folly, Settle. The audience responded warmly to a variety of poems from six different readers, some local, others from further afield. The evening kicked off with two readings of two poems each from poets from Middlesborough and Kendal, evoking the life of very different places. After this Veronica Caperon from Lawkland got the audience laughing and listening with poems full of warm feeling and humour. The second half began with more humour, when Joan Butler from Austwick read us an encounter between a gushing American tourist and a laconic Dales farmer. We were then taken into deeper water by Maggie How describing the struggle to get through to a close family member suffering from dementia. We were never far from the everyday world, though looking at it from new angles. The other main reader was Ann Pilling from Hawes whose work held us in deep attention with its musicality and sense of deep relationships. Christine Bousfield is interested in psychoanalysis using dreams and free association in her own poetry and in the workshops she runs. She is fascinated too by the music of poetry, and how it often works unconsciously. Her poetry often borders on song (its original purpose) and is widely published in magazines, anthologies, on CD, DVD and radio. John Bousfield plays with the poetry/jazz group ‘Nightdiver’, enhancing and developing the musical implications of poetry. In Two Left Boots you'll find her natural funny, touching and instinctive style. The subjects of her poems range from hair to heaven, love to libraries in a variety of forms and an easy, open style. What the reviewers say: Lively, varied, tender, humorous, full of affection yet never sentimental (Carole Bromley)....much to enjoy and to ponder, in these carefully wrought, yet always accessible poems - love, loss, landscape, laughter – what more can we ask? (Ann Pilling)...This pamphlet packs a great deal into a small space (Jean Stevens)....It's brought tears to my eyes, made me laugh in parts, lifted my heart in others. It's a book to treasure (an 'ordinary' reader). 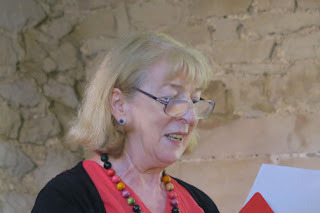 The ‘Read Two’ open mike spot, prize winners from the 2016 Setyle Sessions national poetry competition will read a couple of poems each – Kerry Darbishire, Maggie How, David Smith and Andrew Knowles. Tickets £6, are available from Cave and Crag, The Courtyard Diary and The Folly.